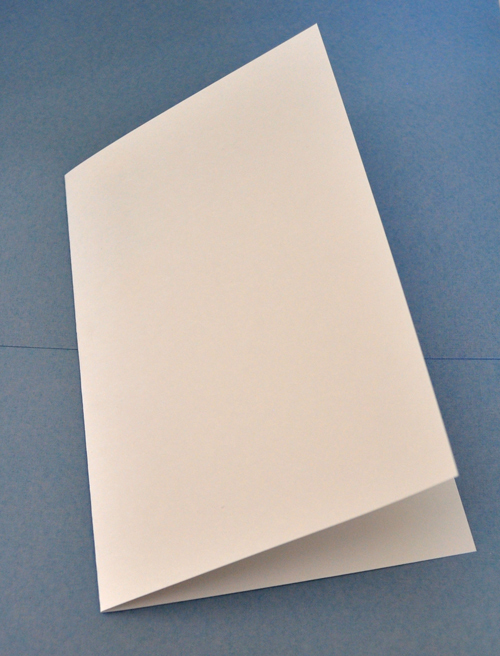 Fold cardstock sheet in half width-wise to make an 8 1/2-by-5 1/2-inch folded card. Print out pattern pieces and tags. Bubble cut around pattern pieces. 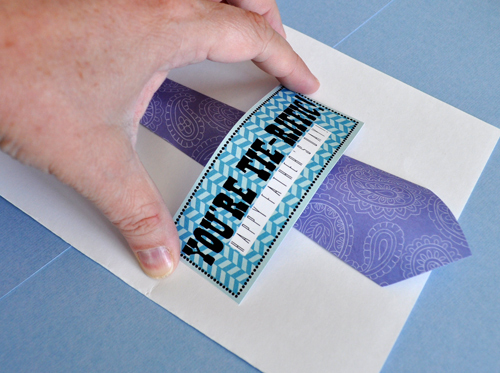 Cut out tie and knot from patterned paper. 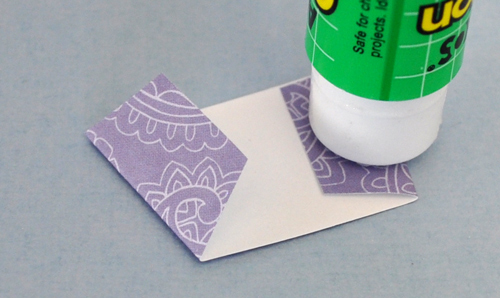 I like to layer the pattern piece on top of the paper and cut around them both at the same time. 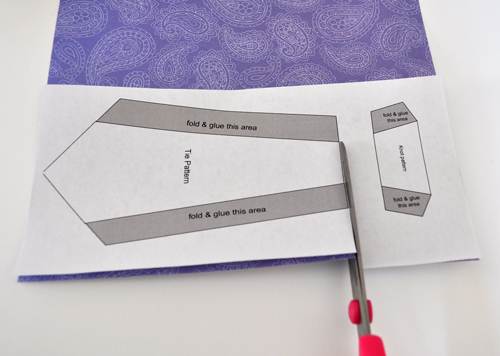 It’s faster and easier than cutting out the pattern and then tracing around it. Fold tie and knot along fold lines. 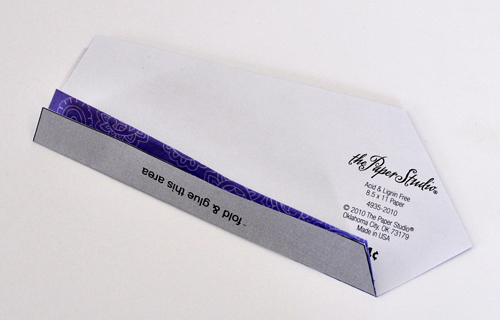 If you keep the pattern piece and tie/knot pieces together, it’s easy to fold them. Set aside. Cut two collar pattern pieces from white copier paper. Fold collar pieces on fold lines. If you keep the pattern piece and cut collar together, it’s easy to fold them together. Apply glue to folded tabs on one collar piece . 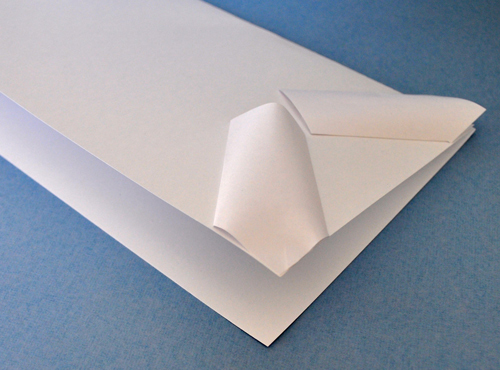 Using your fingers to arch the collar a little bit, glue it to the appropriate upper corner on the white cardstock card. Press down gently as needed to assure it adheres well. Glue down tips of upper corner of collar, if desired, and trim any excess collar as needed. Apply glue and adhere second collar piece to card, making sure to arch it a bit to give the collar a three-dimensional feel. Glue down tips of upper corner of collar, if desired, and trim any excess collar as needed. 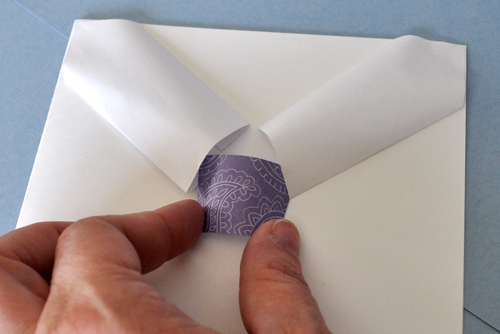 Apply glue to folded tabs on knot. Gently arch the knot piece and slip it up and under already glued collar pieces. Press down gently to adhere. In the picture below, I didn’t slip the knot all the way up into the collar. I think it looks better if you do slip it all the way up. 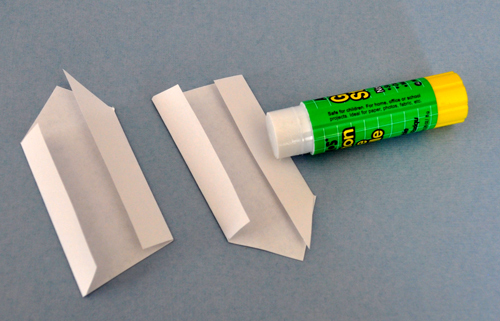 Apply glue to folded tabs on tie. Gently arch tie and slip it up and under the already glued knot. 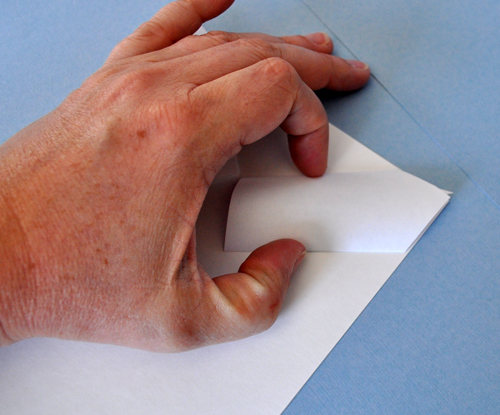 Press down gently on edges to adhere. 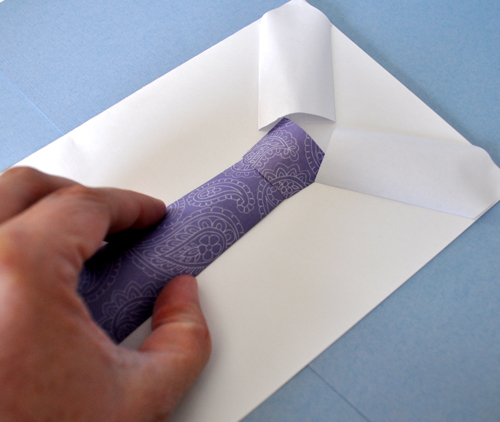 If necessary, slip a bamboo skewer or pair of scissors inside to press down on tabs. 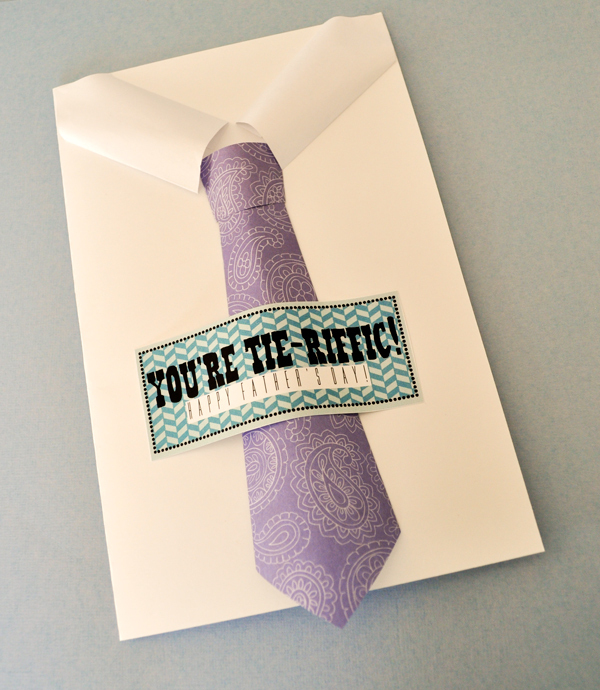 Cut out “You’re Tie-riffic!” tag. That’s it! Quick, easy and fun! 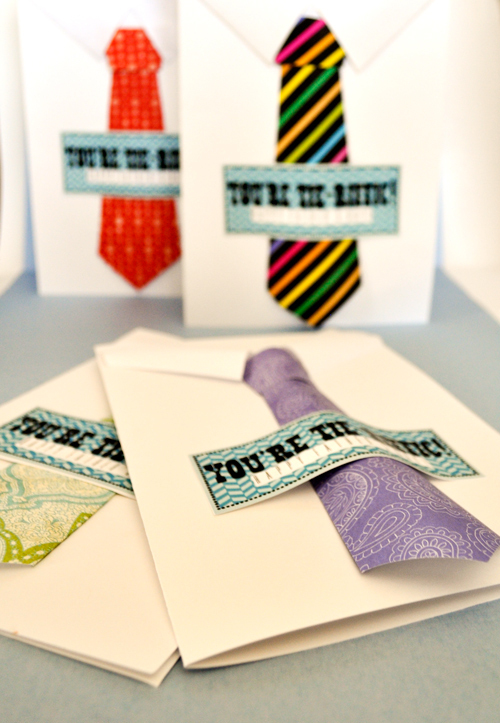 Download pattern pieces and tags for my “You’re Tie-riffic!” Father’s Day card by clicking here. The pattern pieces and tags are in a ready-to-print .pdf file. The first page has the pattern pieces and instructions. The second page has the tags. In the download I’ve also included high-quality .jpeg files of the tags and pattern pieces for you to print. You can upload the tag file to your favorite photo printer and have the tags printed as photos. Once you get your photo print back, cut out the tags. Remember, please DO NOT SHARE my downloads in any way! Hi. For some reason I can not get the file to open. 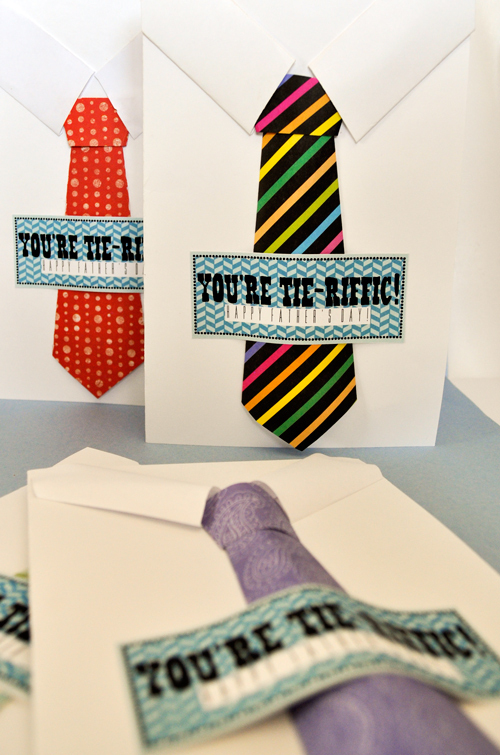 I love the cards and would love to do this Wedniesday fr my activity with my young women. Is there anyway I can get the cutout template emailed to me? Can you please send it to me as well…won’t download for me either. Thanks! Sure! I’ve fixed and checked the download link so it should work now. Sorry for the inconvenience.